Krabi is one of my favorite places in southern Thailand. There are all the magnificent islands with the most prominent being Koh Phi Phi and one of the best kept secrets being Koh Rok. Then there is Koh Lanta, a beautiful and laid back island that’s great to relax for a few days. Ao Nang is the most famous beach town in Krabi, but of course there are also quite a few other beautiful beaches including Railay Beach and Pai Plong Beach. Often completely overlooked gets Krabi Town, the capital of the region, that is located on the bank of a beautiful river with limestone cliffs and has a really nice atmosphere as well – plus several fantastic attractions a short drive out of town like the Emerald Lagoon and the Buddha temple on top of a hill with more than 1,000 steps. Not even mentioning all the great nightlife and opportunities to meet (and sleep with) lovely southern Thai girls. Ao Nang is often marketed as the number one nightlife spot because of its “Center Point” (a courtyard with a dozen bars) and RCA Entertainment (a short strip with a dozen girly bars). But like I showed you in my Krabi Town nightlife guide, there is actually even more fun and girls to be had in the capital town – you just need to go out of the tourist area to get to the good nightlife spots that most people don’t know about. I know that’s a lot to take in, so check out the Krabi Section of Thailand Redcat where you will find guides to every single place I have mentioned in this (kind of rushed) introduction. 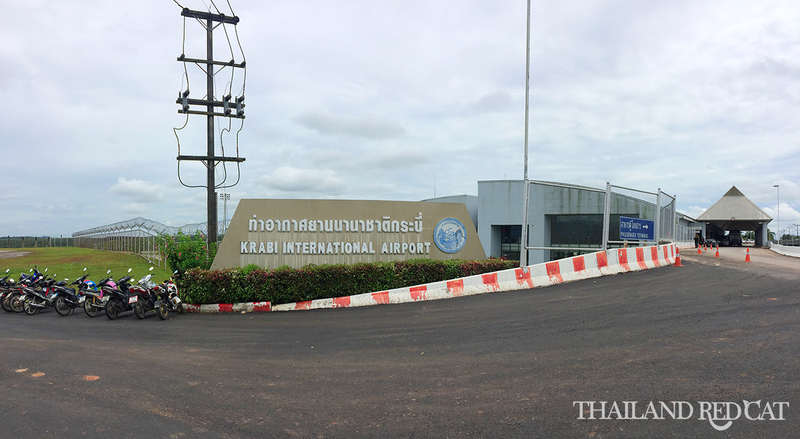 In this post I will show you the different ways on how to get to Krabi from Bangkok. The distance is about 815km and depending on how you travel, the trip will take between 1 hour and 15 minutes and 14 hours and cost between about 500 and 2,000 Baht one way. 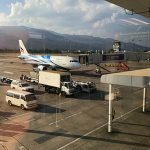 Unless it’s your first time in Thailand and you want to travel slow and experience the landscape along the way, I would definitely recommend you to just fly from Bangkok to Krabi. It’s obviously your quickest travel option (just about 1 hour and 15 minutes) and it’s not expensive either if you choose a low cost airline. Air Asia and Nok Air usually have the cheapest fares. I just checked the prices for a one way flight from Bangkok to Krabi in one week from now and they have promo fares for 850 Baht. That’s obviously on a weekday and in the late afternoon, but even if you booked your ticket for Friday noon it’s still very reasonable priced at about 1,250 Baht – including all taxes. Bangkok Air is another popular airline, their prices are a little bit more expensive (about 1,600 Baht one way) but the seats are more comfortable (and more legroom) and they also serve free food and drinks on board. All busses to Krabi leave from Bangkok’s Southern Bus Terminal. It’s located well outside the city center, on the other side of the Chao Phraya River. Coming from Sukhumvit in downtown Bangkok that’s a distance of about 20km. You can find the google map location here. A metered taxi will bring you there for about 250 Baht. The busses leave either early in the morning (7-8 am) or in the evening (7-9pm, making it an overnight journey). The one way fares are 600-700 Baht and the trip takes about 12-13 hours. You do not need to pre-book your ticket, except on Songkran and New Year when people like to go back home to their families. So you can just show up at the bus terminal and buy your ticket at one of the many ticket offices. However, if you want to get a nice seat, then it does make sense to buy your ticket online. There are a few websites you can do that, but busonlineticket.co.th is among the most renowned and popular ones. There is no railway station in Krabi. The closest you can get is to Surat Thani (155km north of Krabi). From there you would have to take a bus. The trip takes about 12 hours and the ticket costs 107 Baht for 3rd class, 248 Baht for 2nd class and 519 Baht for 1st class. The trains depart from Bangkok’s Hua Lamphong Station (here is the google maps location). 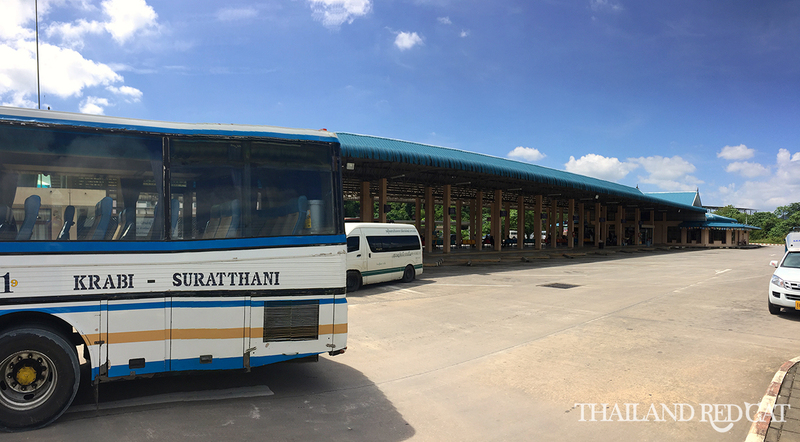 Once you have arrived in Surat Thani, you will have to take a Tuk Tuk or motorbike taxi to the bus terminal (about 50 Baht). From there, busses leave at least once an hour from early till late. The ticket costs between 200-250 Baht and the trip takes about 4 hours. The best way to get around Krabi Town (and anywhere in the region really, including Ao Nang) is to rent a motorbike. 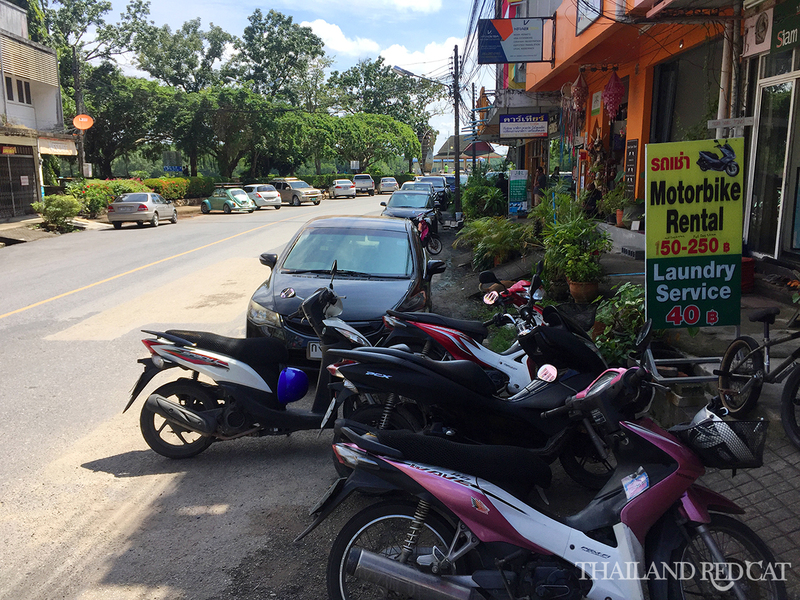 You can find a few of these rental shops in the riverside area of Krabi Town – see the location on the map at the end of the guide. The standard rate is 250 Baht per 24 hours for a basic scooter like you can see in my photo above, and you will need to leave your passport as a deposit. How to get from Krabi Town to Ao Nang? Once you have arrived in Krabi Town from Bangkok and you want to get to the beach as quick as possible, the most logical option would be Ao Nang which is just 18km away. 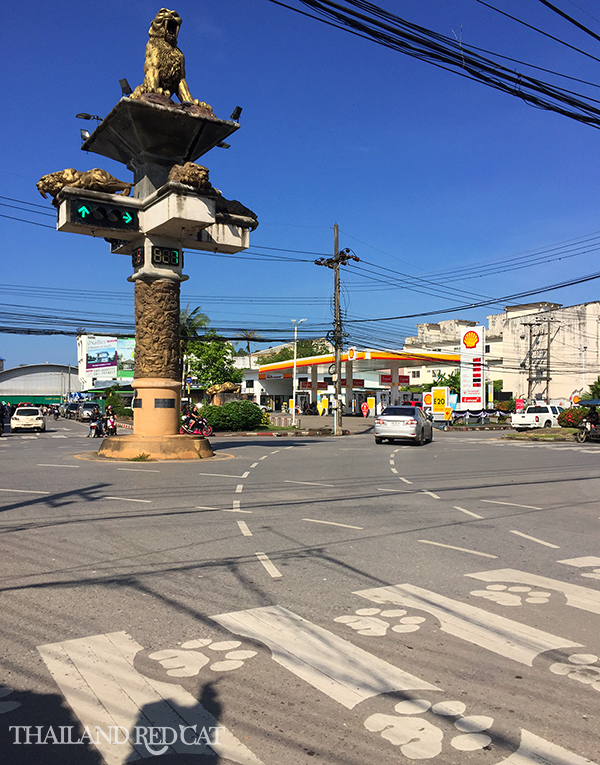 The most popular travel option between these two places are the songthaews (shared pick-up taxis) that you can just hail on the street and get in. The fare is only 60 Baht and it takes you about 45 minutes to get there. For more detailed information check out my guide on how to get from Krabi Town to Ao Nang. And if you want to go to Railay Beach instead, then check out my guide on how to get from Krabi Town to Railay Beach.